Yay, yay, yay... we are finally home! Renegade was great! Some crazy things happened (ie: having no tent or tables, some thievery, etc...), but it wouldn't be a proper trip without some of that, right? ;) My family had a great time with Elsie and Jeremy, we met *SO MANY* sweet blog readers, and the weather behaved itself most of the time. I couldn't really ask for a better time. :) Added bonus: we were right on the same corner as Starbucks. Pretty sweet. Did I mention that I had the cutest little helper ever??? P.S. For more Renegade fun, check out Elsie's blog! Sorry about the stealing - not cool! I am sooo glad I met you & Elsie.. even though I was soooo nervous! ;) I love my ghost and postcards! It was my first Renegade & realized the same thing.. didn't get to the photo booth and how did I not see Starbucks?? Oh well.. 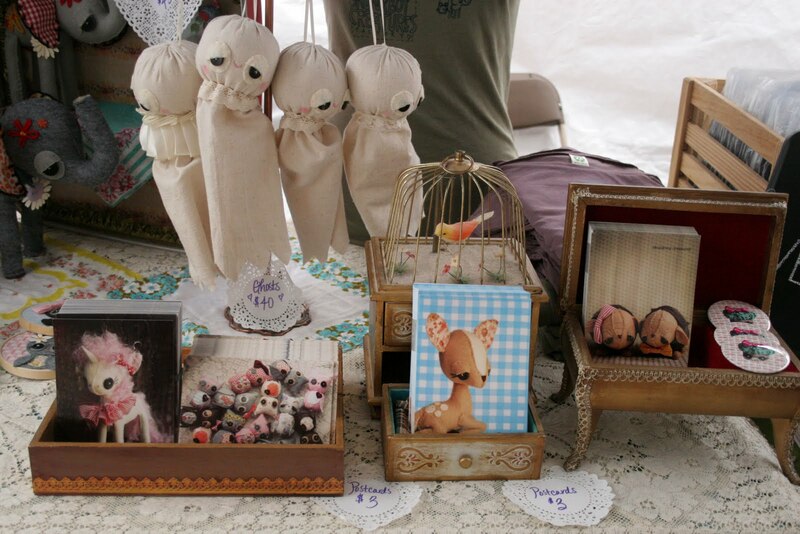 I will be back next year, maybe even to sell my own wares! 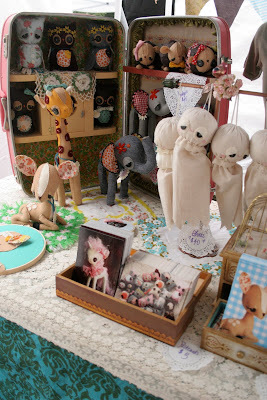 Your booth was sooo cute & the Mr.s were so nice to me! Glad you made it home safe! man, i totally wish we had one of these in ohio.... maybe we do, but i dont know about it yet. your stuff is adorable! what a cute display!!! and you look so damn cute!!! your display looks so cute! I love your hedgehogs. All your creations are absolutely wonderful!!! I am glad you had a great time. Ah, every major city should have one of these babies in place! 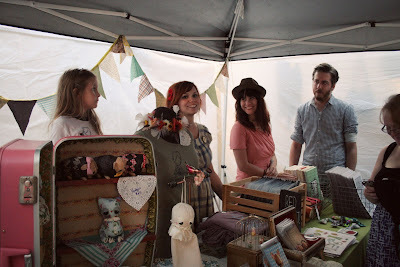 I would love to attend/participate in a Renegade craft fair. 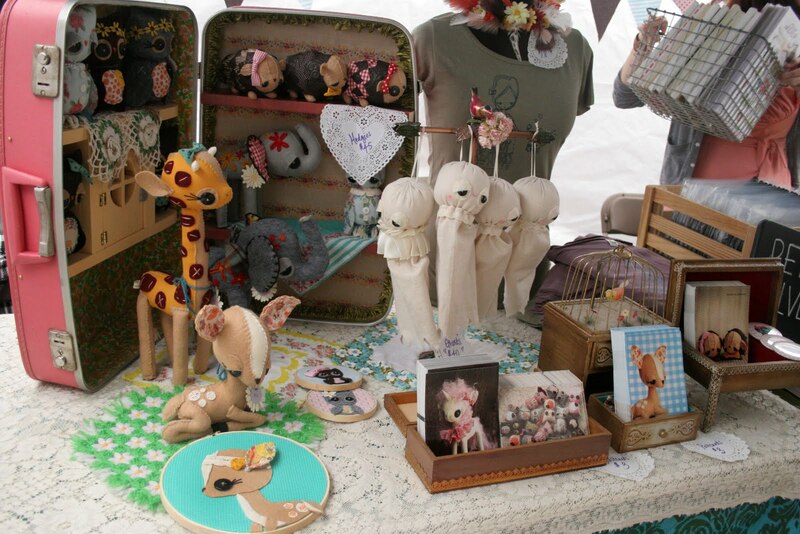 Your display is so incredibly cute! Love the use of the vintage luggage and jewelry boxes...and of course all of the precious creatures! Your display looks so cute! 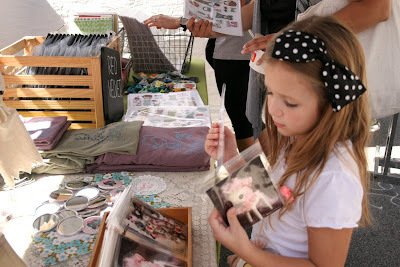 You must have sold a ton of stuff on Saturday~ wish I could have been there on sat instead! It was nice meeting you! i love your display, so cute!! You are SO talented. I knew that as soon as I started following your blog, but I didn't really realize HOW amazingly cute your creatures are until I saw that picture of your display. Your table looks wonderful! 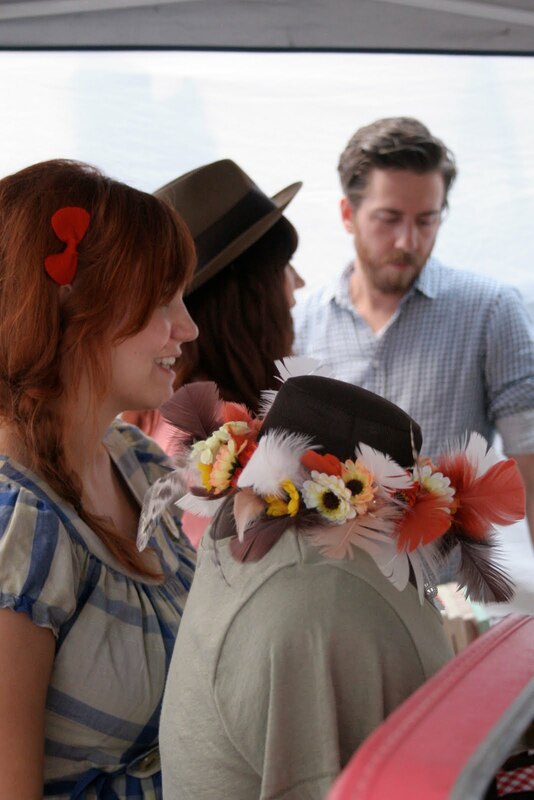 I'm glad you had a great time :D And that polka dot bow is sooo cute! It was so nice to meet you at Renegade. Seeing your little creatures in person was pretty cool, and Hope was so cute and friendly - good thing you had her there to help out! I am pretty sure I am gonna need a deer of yours....just so sweet! When will the shop be back in full effect??? so glad you had fun, wish I could have been there! You and your little lady have the most adorable bows in your hair. it was so nice meeting you 3 lovely ladies! still thinking about your dresses! wish you'd made them so i coulda commissioned one or two! haha thank you so much for stopping by..your booth was VERY cute and right up my alley! love the display and i have a soft spot for ghosts so i loved the ones you have haha. hope to see you and elsie again soon..think we would have lots of fun together!